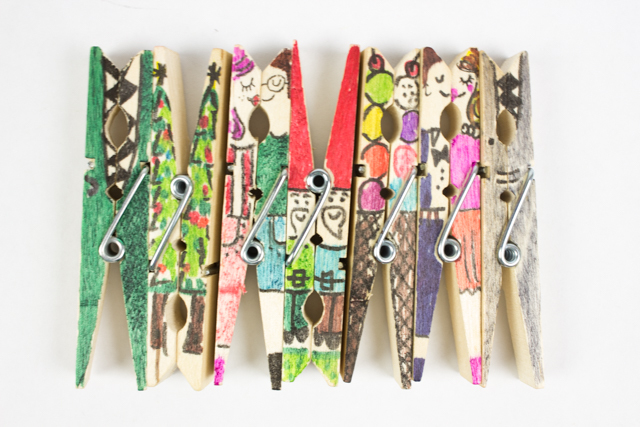 I needed a few clothespins for some crafts... but ended up acquiring a whole bunch more than necessary. 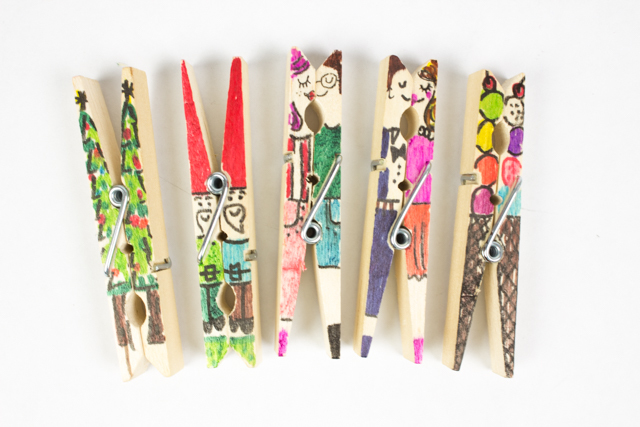 They were just lying around, so I fiddled around and came up with a really fun, open-ended art project: Clothespin Doodles! Grab your Sharpie markers and get drawing! These two below were my favorites! 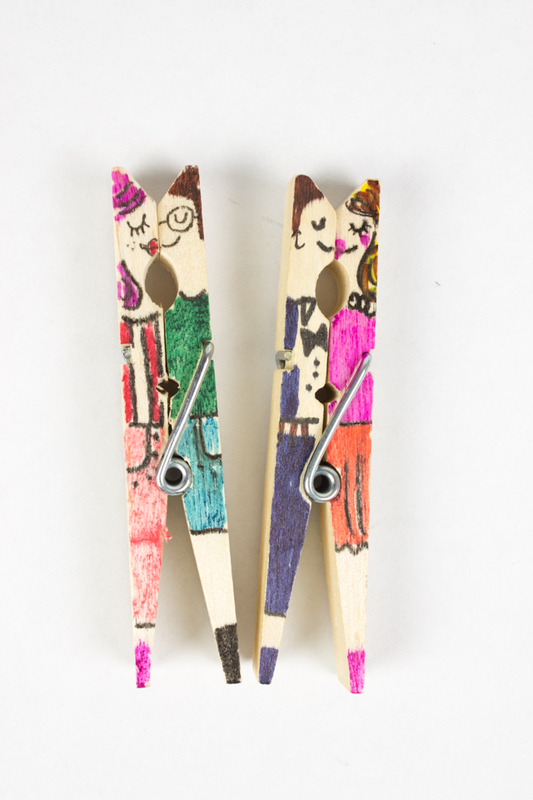 What do you see when you look at a clothespin? 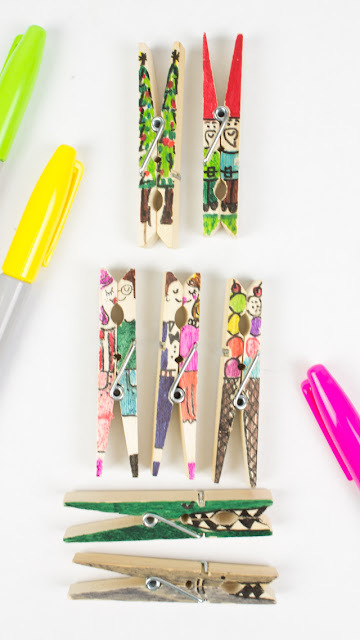 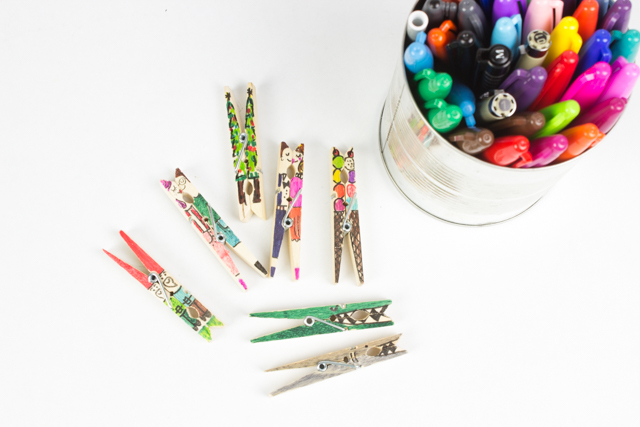 And if you're looking for more clothespin crafts... check out the links below!